The ultimate upgrade for your Traxxas X-Maxx. 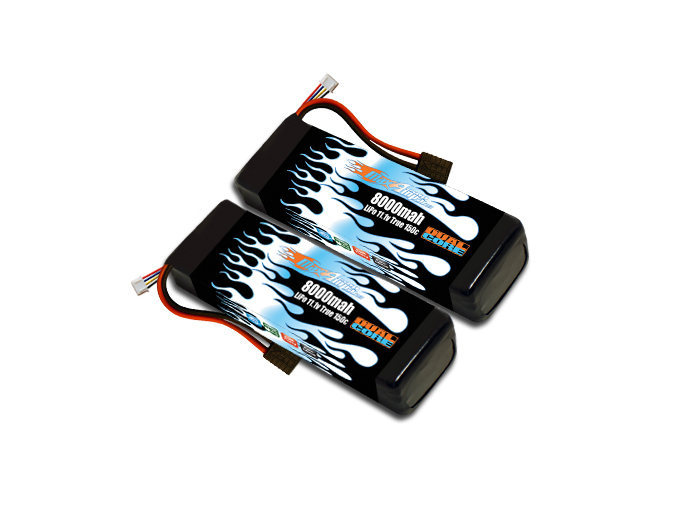 This is for 1 pair of our 8000 3S 11.1V Dual Core lipo packs. One left side and one right side custom wired to fit the X-Maxx battery compartment. No tray modifications required. This is the third Maxamps battery I have purchased and will continue to only purchase the best. Simply put. These are the best batteries on the market! From performance to fit and finish nothing out there compares to these batteries. Max Amps stands behind what they sell. I had an issue with a battery and they took care of it. You pay a little more for their batteries but like the old saying goes, "you get what you pay for".